To launch the Rome Summer Workshop we asked some past participants to talk about their experiences. This is from Sandy Woodruff, New Rochelle, NY. a Digital Product Designer at Rent the Runway. What was your favorite part of the workshop and did you gain anything you did not expect? Rome is THE place to be for history, and typography— beauty surrounds you at every step. 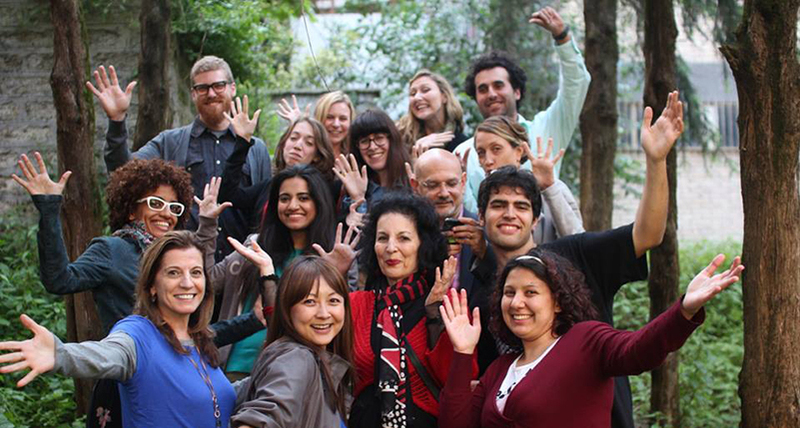 This workshop was such an enriching experience: being immersed in Italian culture (and food…) combined with immense knowledge passed on to us by the field experts and design leaders guiding the workshop. How has it has informed your work? This program prepared me well to quickly absorb, ideate, experiment, and create in a short periods of time, all things I do daily on the job. What did you learn the most? And have you shared with others (through workshops, presentations or in class) what you learned with others and how? I learned how to turn constructive feedback into progress, despite uncertainty, and pass this along regularly to my peers.